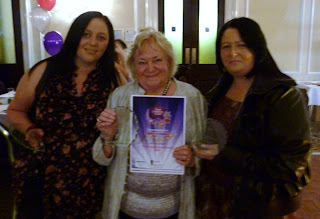 Nominations for this year's Tenant Community Awards run by High Peak Community Housing are now open. To nominate someone you need to fill in a nomination form which is available by clicking here or by calling into the Gamesley Housing Office or GRA. The deadline for entries is Friday 29th July 2011, and all nominations must be on an official nomination form. All nominations must have the support of at least two other residents, one of which is a tenant and all nominees must live in or have benefited a neighbourhood managed by HPCH. The picture above shows local's Mandie Farrell and Dawn Stevenson with the chair of High Peak Community Housing Agnes Bradley after winning the helping hand award at last years awards, and it would be nice to see locals winning again this year !